Do you skip breakfast when you are rushing and short for time in the morning? I know that I do. But with some simple planning, you will eat better and be on a healthier track. I have created 5 Simple Ways of Building a Better Breakfast Routine. Believe me, it works, and it will save you time, money and energy, plus, your breakfast will be delicious! Not eating breakfast usually increases overeating later in the day because you are hungrier. Studies have shown that to beat obesity and eat better that you should follow the old adage: Eat like a King for Breakfast, a Prince for Lunch, and a Pauper for Dinner. So eat a bigger breakfast to give you more energy to have a more productive day. Bagels for breakfast are timesaving, easy, tasty and nutritious. Set up a breakfast bar on the weekend, your kids will think it’s like a special party for them! 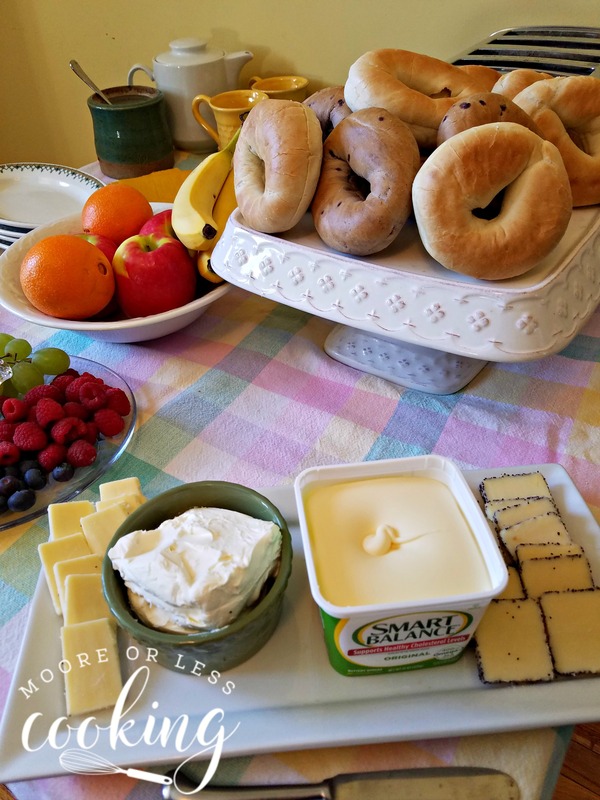 Lender’s® Bagels and Smart Balance® Buttery Spread with different toppings are a quick and easy on the go breakfast solution. 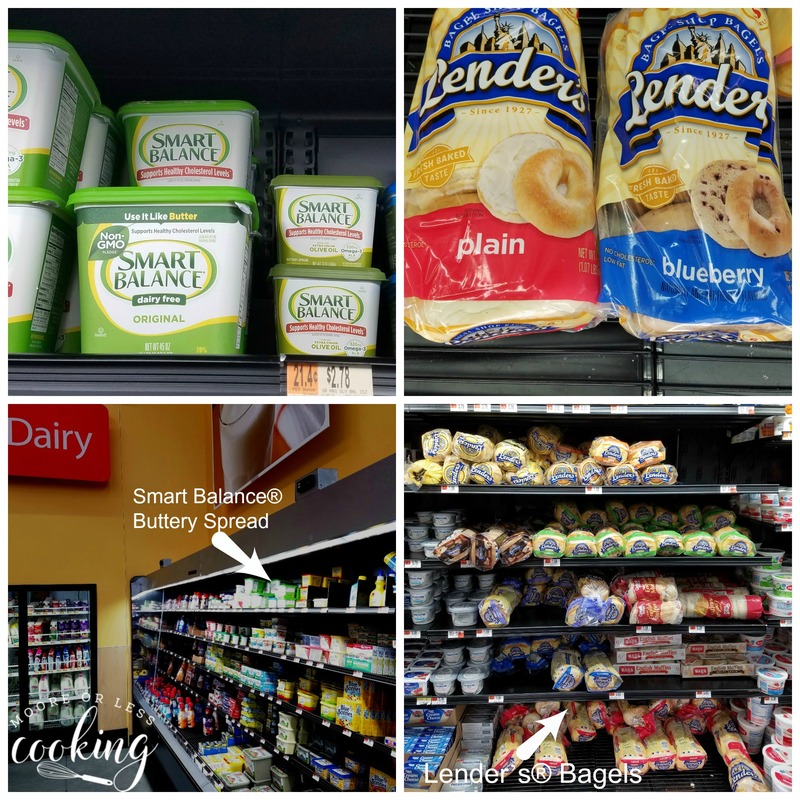 You can find both Lender’s® Bagels and Smart Balance® Buttery Spread in the dairy section at your local Walmart. Change it up a little so you won’t get bored and stop eating breakfast. 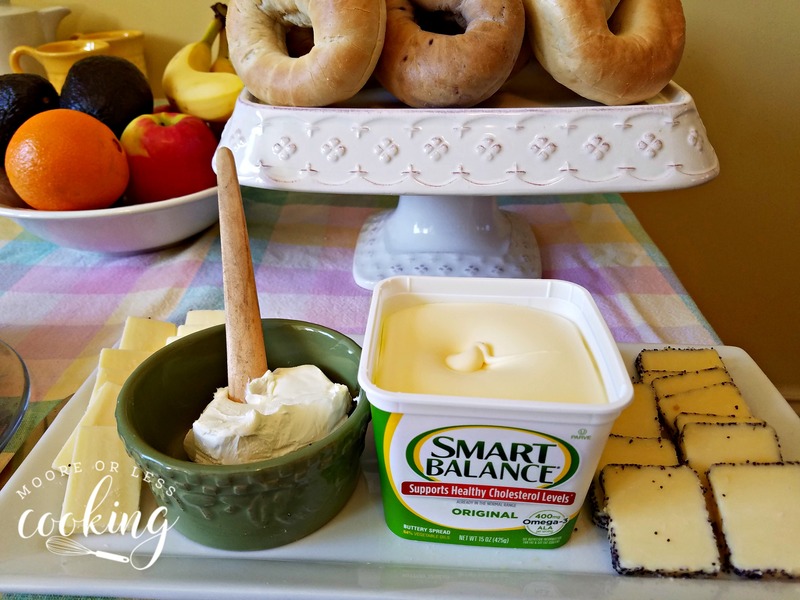 Try a breakfast bagel with different ingredients, like Smart Balance® Buttery Spread and cheese one day. 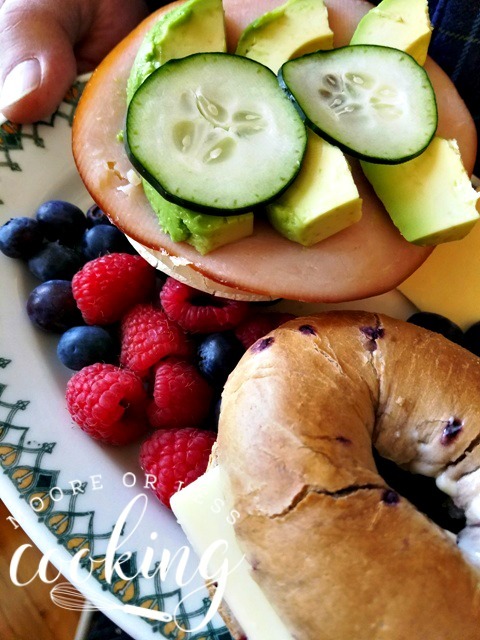 Try Lender’s® Bagel with turkey, avocado and fresh fruit on the side another day. After fasting all night and burning calories, it is important to feed your muscles protein to prevent any breakdown. Protein is filling and may help fend off mid-morning hunger pangs, even if you have a small something while on the go. Grab a Lender’s® Bagels and Smart Balance® Buttery Spread with salami or turkey and fruit to go. With so many different choices to choose from, Lender’s has something for everyone in the family. 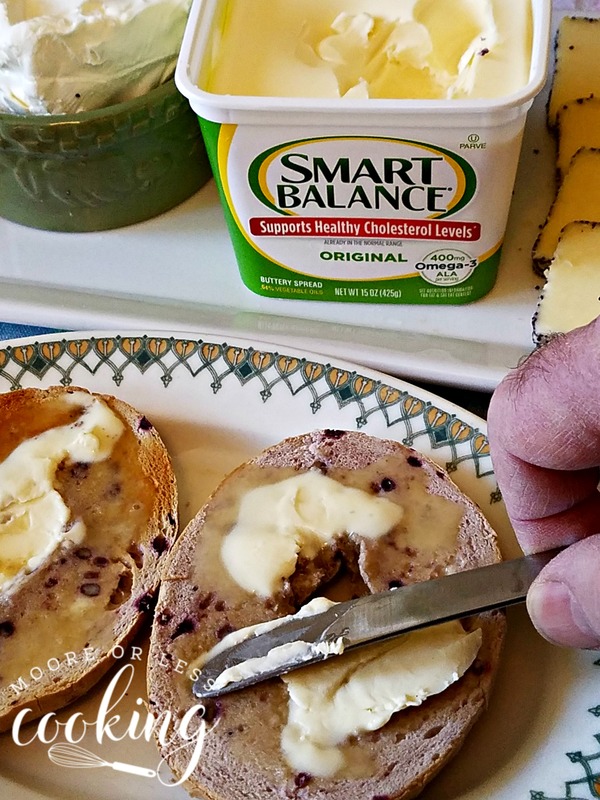 Blueberry Lender’s® Bagel and Smart Balance® Buttery Spread. * When used as a part of a healthy diet low in saturated fat and that includes exercise and other physical activity. If you have at least five minutes to cook yourself breakfast, add some vegetables as a side or part of the main dish. All too often we think of orange juice with eggs and bacon, pancakes with syrup, or oatmeal with fruit as a complete breakfast, but in reality, it’s important to increase our veggie intake whenever possible, including at breakfast. Veggies add more nutrients including fiber and will lower the excessive carb or fat content. Try a Lender’s® Bagel with Smart Balance® Buttery Spread with sliced avocado and sliced cucumber. Everything’s better on a bagel! Toasted Lender’s® Bagel ( plain) and Smart Balance® Buttery Spread, with sliced avocado and sliced cucumbers. Toasted Lender’s® Bagel ( blueberry) with sliced sharp cheddar cheese and a side of fresh berries. You can find both Lender’s® Bagels and Smart Balance® Buttery Spread in the dairy section at your local Walmart. 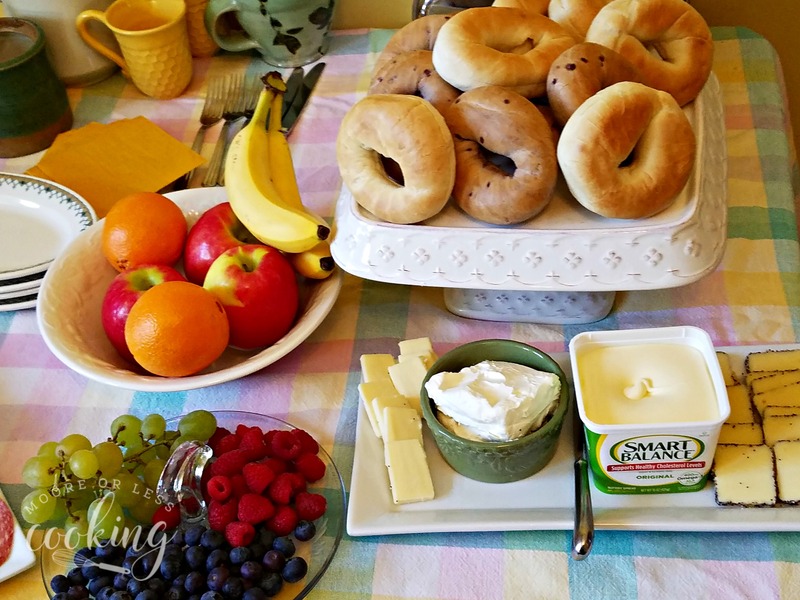 Bagels for breakfast are timesaving, easy, tasty and nutritious. Bagels are kid-friendly & great for the whole family. What’s your best tip for eating a better breakfast during the week? For More information, go to Lender’s® Bagels website and Smart Balance® Buttery Spread website.